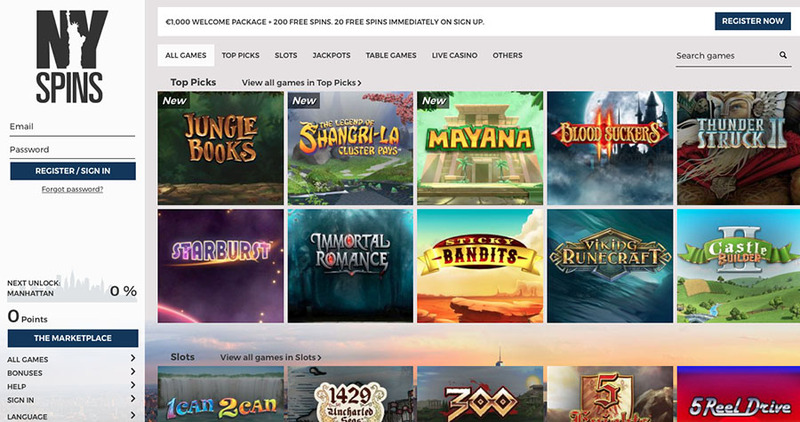 NY Spins Casino is a NetEnt Casino that hit the internet streets in 2017. Touted as ‘the casino that never sleeps’, NY Spins is heavily influenced by none other than – New York city. This New York themed casino has the beautiful Manhattan skyline on their website, which coincidentally ties in nicely with their idea of a ‘Marketplace’ where players can collect points during gameplay to swap them for additional awesome bonuses. NY Spins offers the best selection of slots from the top casino software providers, such as: NetEnt, Microgaming, Yggdrasil, and Betsoft. The casino is available on all devices, whether you are on your computer, smartphone, or tablet. The casino is operated by SuprNation Limited and is licensed in Malta with the MGA. Many popular NetEnt slots, including: Gonzo’s Quest, Wild Wild West, Dead or Alive, Starburst, Jack and the Beanstalk, Bloodsuckers, Fairytale Legends: Hansel & Gretel, and many more. Jackpot games available, such as: Hall of Gods, Arabian Nights, and Mega Moolah. 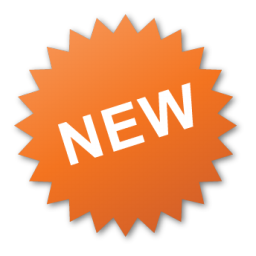 The Marketplace feature is quite innovative and allows players to get great bonuses. Limited selection of table games. 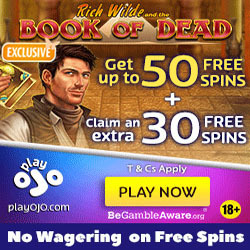 New players at NY Spins Casino are eligible to sign up for 20 No Deposit Free Spins on The Book of Dead Slot. 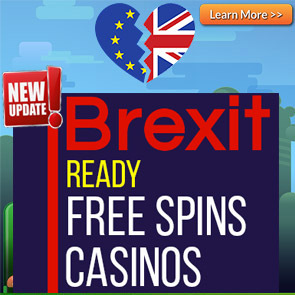 Receive your Free Spins in batches of 20 per day, over a consecutive 9-day period. The minimum deposit to qualify for these Welcome offers is €10 / £10 / 100 SEK / 100 NOK or currency equivalent. The wagering requirement for bonus offers is 45 times. Free spins winnings carry a wagering requirement of 45 times before any withdrawals can be made. The following games do not contribute towards wagering requirements when bonus money is used: Tower Quest, Koi Princess, Dr Jekyll & Mr Hyde, Ladies Nite, Game of Thrones, Scrooge, Spring Break, Eye of the Kraken, Blood Suckers, Lucky Angler, Big Bang, Forsaken Kingdom, The Wish Master, Devil’s Delight, Champion of the Track, Robin Hood, Pearls of India, Royal Masquerade, Tomb Raider 2, Dead or Alive, Untamed Bengal Tiger, Untamed Giant Panda, Untamed Wolf Pack, 1429 Uncharted Seas, Untamed Crowned Eagle, Double Dragons, Divine Fortune, Super Monopoly Money, Castle Builder, Castle Builder II, and Alchymedes. Different games contribute differently to the wagering requirements: Slot machines 100%, Blackjack (incl. Pontoon and Double Exposure) 0%, Roulette (all kinds) 0%, Baccarat (all kinds) 0%, Video Poker 30%, Punto Banco 0%, Oasis Poker 10%, TXS Hold’em poker 10%, Casino Hold’em 10%, and all other games 100%. Neteller, Skrill, MasterCard, Trustly, Visa, Zimpler, Euteller, iDeal, and Entercash. EUR, NOK, SEK, CAD and GBP. English, Swedish, Norwegian, Finnish, and German. If you reside in any of the following countries, you may not open an account at the casino: Afghanistan, Algeria, Angola, Bahrain, Belgium, Bulgaria, China, Cuba, Denmark, Eritrea, Estonia, Ethiopia, France, Hong Kong, Indonesia, Iran, Iraq, Ireland, Italy, Kuwait, Libya, Malaysia, Martinique, Mauritania, Mauritius, Morocco, Norfolk Island, North Korea, Oman, Pakistan, Portugal, Qatar, Rwanda, Saudi Arabia, Sudan, Somalia, South Sudan, Singapore, Spain, Syria, Turkey, Tunisia, UAE, United Kingdom, United States and its dependencies, military bases and territories including but not limited to American Samoa, Guam, Marshall Islands, North Mariana Islands, Puerto Rico and the Virgin Islands, and Yemen. The customer support team is available via Email, or Live Chat.